1. Reach out for help. Fortunately, our profession is more collegial than most, so share your feelings with a trusted music colleague, teacher on your staff, counselor or even an administrator. Feeling isolated is another characteristic of burn-out but realizing that you are NOT alone can make all the difference. Keep professional development a priority. It refreshes us and provides opportunities to establish meaningful relationships that will be beneficial when needed most. 2. Be grateful and look for the positive. When we look for the good in others, we also find it in ourselves. It lifts our spirits and provides us with a sense of well-being. Make it a practice to send a note of congratulations to students who are showing improvement or who have attained some special recognition. Send an appreciation email/memo to a parent or a school colleague who helped you in some way. There is always something to be thankful for and sharing your gratitude will soon brighten your own outlook. 3. Develop a growth mindset. Make the process more important than the product. It’s often been said that the best performances were left in the practice room, and although we might prefer it to be otherwise, this is not a bad thing. Look for and celebrate successes as they occur—the decrescendo that was played flawlessly or the perfectly timed entrance that the horn section finally achieved. Give them a wink and a smile to let them know that you recognized their achievement. It’s these smaller successes that grow into major artistic victories. 4. Help others. It’s the nature of a teacher to help others— that’s why we became teachers in the first place. Tap into your own strengths and help another in your building. When we help others, we also help ourselves to stay rejuvenated because of the joy we experience in turn. Involve the students in helping others as well by spearheading a food drive or doing volunteer work at a local neo-natal care unit or senior center. It’s surprising how much happier (and healthier) we can become by providing support to others. Simply stated, if you want to feel good, do good! 5. Have fun. When I think back to the teachers who had the most impact on me, I can actually visualize their faces sporting great big smiles. I’m sure that there were times of seriousness and even frustration but in the larger sense, they were fun to be around! They made learning fun! They had a sense of humor and managed their emotions appropriately. They made me feel good about myself. I know of a band director who went up against the principal in a Kiss the Pig contest, a choir director who participated (and won) a faculty dance contest during Homecoming Week, and a string teacher who organized the school faculty to perform a hilarious version of the 12 Days of Christmas at the school’s holiday assembly. Let students see you enjoying your time with them! 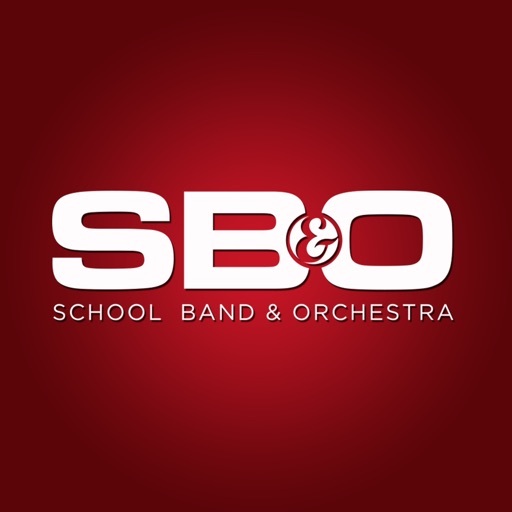 Excerpt from School, Band and Orchestra, March 1, 2019, Digital Issue.